If you really want to impress your guests, this is the recipe for you. 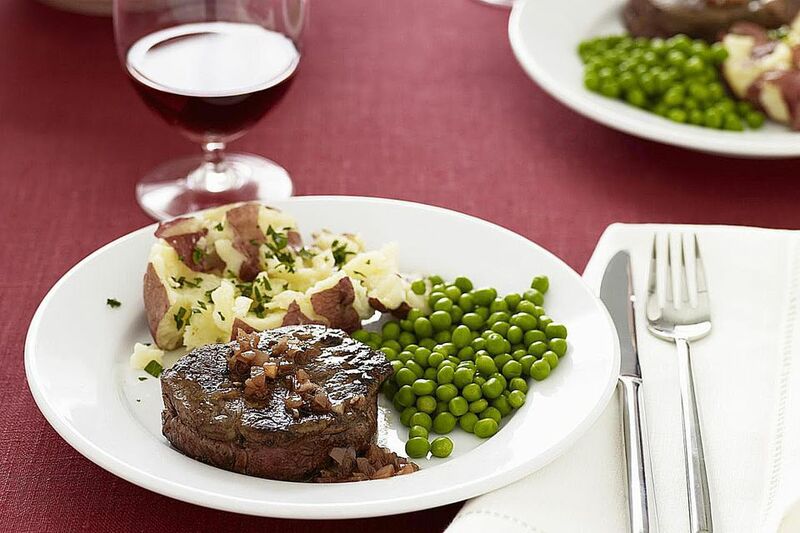 This beef tenderloin is lightly seasoned and then served with a delicious mustard sauce. 1. Mix together mustard, vinegar, olive oil, pineapple preserves, tarragon and pepper. Simmer in a saucepan until evenly heated. Keep warm. 2. Preheat grill. Lightly pound fillets with kitchen mallet and sprinkle with salt and pepper. Place on grill and cook about 4 to 5 minutes on each side or until desired doneness. 3. Remove from grill. Place about 2 tablespoons (30 mL) of mustard mixture on a plate and place fillet onto the sauce.